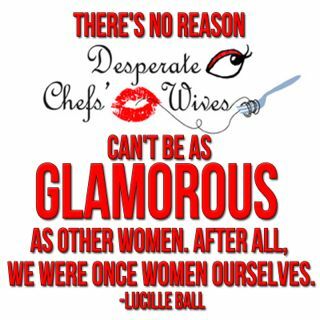 A New York Chef Girlfriend emailed me this week asking about the health of the men who feed us. In my mind I don't pictures chefs being in tip top shape. How can they? They haven't got time to exercise. They eat an outrageous amount of butter just in the thousands of tasting spoons they pop in their mouths each day. They work 12 hour shifts on 5 hours of sleep. They consume late night fattening meals and drink like fish. Glamorous right? These guys are overweight and underpaid. I've even learned of a very young, 29 year old chef who has type II diabetes. This is getting serious. So is this a problem among chefs or just a problem among Americans? Is the industry taking a toll on the health of the chefs at the center of it? ..high cholesterol and blood pressure, back and leg pains, unhealthy posture, stress related anxiety issues, does that sound familiar to anyone..? What I also find worrying is the social anxiety I that I observe getting worse and worse - he is so out of practise to have a normal social life that he does not know how to have friends any more. When we have people around (say once a year) he acts like they are paying customers. He'll spoil them and serve a stunning meal, but they'll hardly get a word out of him. Too busy cooking, serving etc. He can't for the life of him understand why that makes people feel uncomfortable. When we go somewhere and he can't disappear into the nearest kitchen, he is a nervous wreck and tries very hard to be invisible. Looks very silly, considering his size. That can't be healthy, either! Hi Cindy,Cereal for dinner isn't ideal at all, but I WISH my husband ate cereal for dinner. He eats a full meal as if its 6 PM and he's a nine to fiver. HA. Oh, and Erik hasn't even seen a doctor in at least a year and the dentist...yeah that appointment is a bit overdue to say the least. And LM, I never even considered their mental health-but you are SO right. Erik cooked all the food for my baby shower, but spent the entire day in the kitchen. I was glad to be able to show off his skills, but in the end I thought it was too much. And friends! I'm glad I'm not the only one with a friendless chef. Who has time for friends? Not chefs. Their health isn't even near the top of their priorities. I only know one chef in our circle that is over weight...and I worry about him...diabetes and stroke are a concern and he's under 30! My husband has gone through bouts of being under weight, but right now is great...6 feet tall and 180 pounds. He rides bike to work and runs with me on day off. Plus chasing kids is great work out. Going to the doctor is never high on these guys list of fun things to do, but Hilary do what I do and treat them like kids...make the appointment on a day off, tell them the appointment is for you but you want him to come and bring the baby so afterwards you can go out for bite, then when you get there tell him it's actually for him! You'll get a "look", but really what's he going to say standing there in front of doctor!? Oh yeah, don't tell him until you're literally standing in front of receptionist! It works, I swear! Just in this last month my chef was diagnosed with high blood pressure and put on meds. They also found some sort of heart problem they are still running test so we are still in the dark as to what it could be. It has been a scary month for us we have 7 kids and another due in May. I have an Aussie chef who has been drinking too much and late night bingeing at the golden arches after service. I dont understand the need to drink so much or eat unhealty foods. We have good food in the fridge for after sevice and he doesnt work insane hours. I work also as many hours in a stressful job but know that I need to be fit and healthy for our young family. It is not good for my family and I dont know if it is worth it. Based on your comments, I'd say that chefs are not taking care of themselves. Valerie, keep us posted on your chef's heart. And seven-eight kids! Wow. I'd love to hear about your life with a full house and a chef. Please feel free to guest post anytime. Tiger Lily, I'm glad to hear you were able to get your chef to the doctor, but I'd feel uncomfortable deceiving Erik, even for his own good. Ok. No deception. How about trying to get them to see that life is not just one service or one ticket or one table...it's the big picture...it's a lifetime with you and he's not one person anymore...he's 3. It's like the whole "eating for 2" idea, I'll be he understood that...it the same things; he's living for 3! Hey girls.. 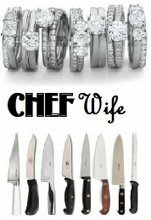 I am not married to a chef but have been seriously committed to my wonderful chef boyfriend for 3 years and I have the same concerns that all you women have. My boyfriend was diagnosed with high blood pressure and has a family history of diabetes and I'm extremely worried about his health. We hope to someday have a family and he is already going through health issues, so I am extremely concerned. I agree that health is not a concern to chefs as they do not have time to even think about exercise but I put it to my boyfriend this way, if you do not have health then you don't even benefit from the hard work you put in. You do not get the chance to live life to the fullest. I am so thankful to have found this blog!!! 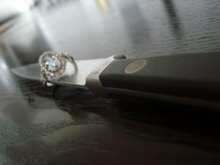 I married a chef last summer & we had been long distance dating until then. Once I actually lived with him, it frightened me to see how he lives. Up at the same time I am to go to work & not home until the wee hours of the morning. I don't know how he does it! When he gets home he would eat an entire bag of chips or box of cookies, so I stopped buying junk like that. I started cooking simple dishes with few ingredients that I thought I could handle & surprisingly he has been pleased to have a meal to eat. He says he get tired of his own food. He is a five diamond chef & the food is all fancy, sometimes he just wants something simple...as long as its "well seasoned". haha. He also drinks alot of bourbon...alot. Lately I will try to wake him in the morning & he'll start rambling on about which course to serve or distributed fat. He is still completely asleep, but he looks at me & starts talking about service. Its pretty pathetic! To top it all off, he was in a bad car wreak in his early 20s and he broke his neck. He had to learn to walk again & I am so stressed that this is too much on his body. Sometimes I feel that he should change to an F&B, but he would never find satisfaction. He lives, breaths & now sleeps food!